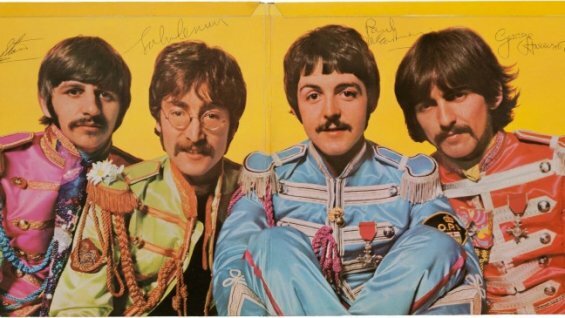 You might have heard recently about the signed copy of Sgt Pepper which sold at auction for US$290,500. It made headlines around the world because it shattered the previous record for such an item. The album was purchased by an unnamed buyer from the Midwest USA. An anonymous seller parted with the album through the Dallas-based Heritage Auctions, which ahead of the bidding estimated the album would sell for $30,000. Now comes news of another perhaps even rarer copy of Sgt Pepper that will be auctioned by the same auction house. Earlier this year, I received a message from a friend of mine named Chad, a prominent local buyer and seller of collectibles and antiques. He purchased a set of Beatles records, and since records aren’t his forte, he contacted me, Tony Gillespie, owner of Gillespie Records, because he knew of my extensive Beatles record collection, which has been called one of Indiana’s finest. 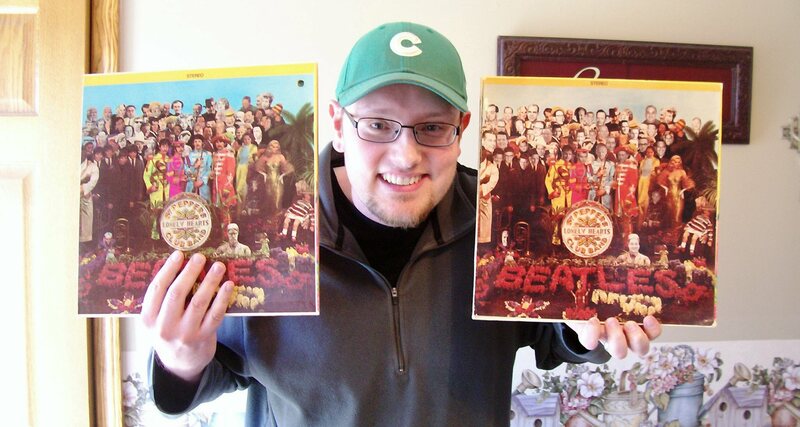 (www.facebook.com/gillespierecords) He mentioned a “weird Sgt Pepper’s cover with different faces on it.” I asked him to send a photo of that record first. 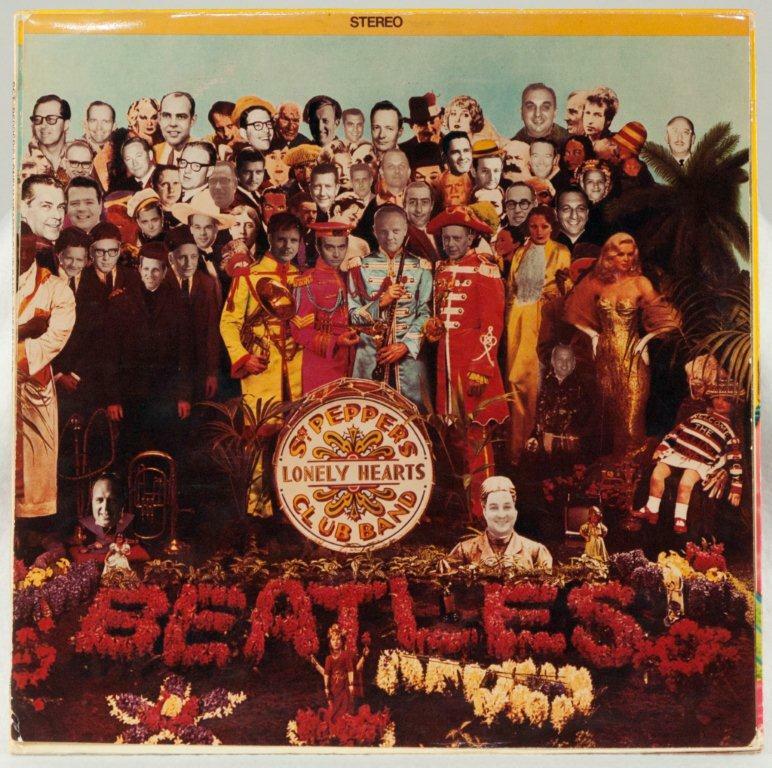 I recalled reading an article that was generated from a story in Record Collector magazine (http://www.mirror.co.uk/news/uk-news/the-beatles-album-artwork-worth-70000-276691) about a “doctored” Sgt Pepper’s cover. I found the article and waited for the photo. When I opened the attachment, my knees buckled. There it was, the Holy Grail! The article estimates the cover to be worth 70,000 pounds (equvalant to $100,000+ US dollars, roughly). I called the owner (Chad) and his wife (Kimberly), and told them to sit down. I revealed what the article said, and the roller coaster ride began. The three of us formed a partnership, with them owning the record, and me acting as their representative and got to work on finding the best home for the record. 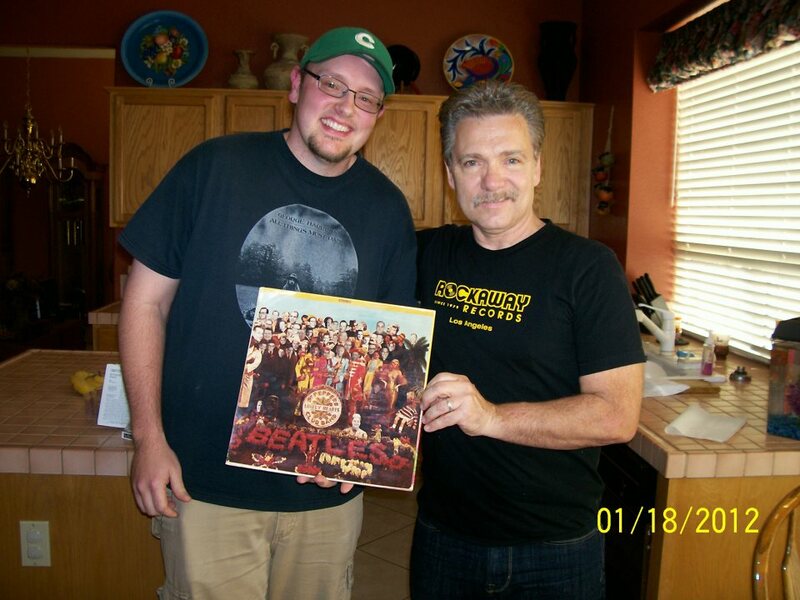 We contacted Perry Cox, the leading authority on all things Beatles, and he agreed to have us to his home (we flew from Indiana to Arizona) to personally authenticate the record. It was the first time he had ever held the “doctored” cover in his hands. Perry estimated there were only 40-50 copies of the record produced (a claim mirrored by Bruce Spizer in his book, “The Beatles Story on Capitol Records, Part 2) for a Sales Executive meeting held in late 1967 in Florida. One cover is thought to have been made for each of the executives featured on the cover, but only 3-5 are known to still exist, and NONE have ever been sold on the open market, making the true value of this cover unknown. We were able to successfully tie the record to an executive on the cover, which Perry says could double the value!! “Among the rarest and most interesting artifacts produced during the original era of the Beatles classic Sgt. Pepper’s LHCB”, was an extremely rare U.S. stereo album cover version prepared exclusively for a Capitol Records party in honor of the landmark album in late 1967. The front cover of the album featured photos of noted Capitol Records employees amongst the many noted famous images we’ve now become so familiar with. Today, this has become one of the most sought after albums by collectors and fans all over the world. With only about 40+ examples made, I rank it one of the top 10 all time collectible albums by the Beatles in the world.”———Perry Cox, April, 2013. This entry was posted in Beatles, Beatles Collecting, Beatles Music, Beatles Related, Capitol Records and tagged Auction, Beatles, Beatles Collecting, Capitol Records, perry cox, Rare, rarest, Sgt. Pepper by beatlesblogger. Bookmark the permalink. This has to be the coolest beatles item I have ever seen. People will be fighting over this like crazy. Your friend has got to be the luckiest guy ever. It would be so easy to just pass it off as junk. Keen mind to question it. I will be watching your auction. Unfortunatelly the auction houses don’t take left arms or right testicles, so I can only watch. COOOOLIOOOO! Hey, Paul…Thanks for your feedback on our record, I appreciate your response! It is very cool, and I’m glad to be a part of it. I’ll never forget that feeling when I opened my friend’s email and saw the “weird Sgt Pepper’s cover” he had was a match to the World’s Most Valuable Record Cover. I thought, for the first time in my life, that my legs were going to go out from under me!! This whole experience has been AMAZING! From the trip to Arizona to meet Perry Cox, to the negotiations with Heritage Auctions to consign our piece, and everything in between!! It’s going to be sad to see the record go, but we’re hoping it does well, and finds a great home!! Thanks again for your comment! Is it the signatures that that make the Uk Parlaphone/high gloss/gatefold so valkuable? I have one but without the signatures, what might this be worth at auction? Hi Julian, it is definitely the four pristine signatures which make this one special, and that they are on a genuine, original first pressing in very good condition. It was DEFINITELY the signatures that pushed it that high. Perry Cox said there would never be a better signed album by the band…high praise from Perry!! A UK Sgt Pepper’s can be pretty pricey, IF you have a first press. Mono is usually higher than Stereo, as well. You should go to Popsike.com and type in Sgt Pepper’s uk and try to match up the label on your record with the photos…of course the key is always CONDITION. Have to be in good shape to get top dollar!